The Hitachi HV-D30-S4 is a compact, high resolution, 3-CCD color camera with a third-generation 14-bit DSP and a signal-to-noise ratio of 64 dB. The HV-D30 outputs 30 frames per second and offers multi-step electronic shutter and extended exposure control for extremely low-light operation. The Hitachi HV-D30 also offers a Field-on-Demand function, an external trigger mode, and an RS-232 control interface. Optional accessories for the Hitachi HV-D30 include various breakout cable configurations, pan-tilt mounting systems, and a remote control box and cables. 800 TV Lines Resolution, 64db Signal-to-noise-ratio. Minimum sensitivity of 0.9 lux. High-quality video is attained with the use of 12-bit A/D and advanced Hitachi DSP. External Triggering and long-term integration mode. Video outputs include: Composite, Y/C, RGB, or Y/R-Y/B-Y. Flange-back (back-focus) adjustment for C-mount lens. 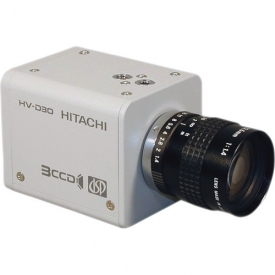 Did you see a lower price for the Hitachi HV-D30-S4 3-CCD Color Camera? 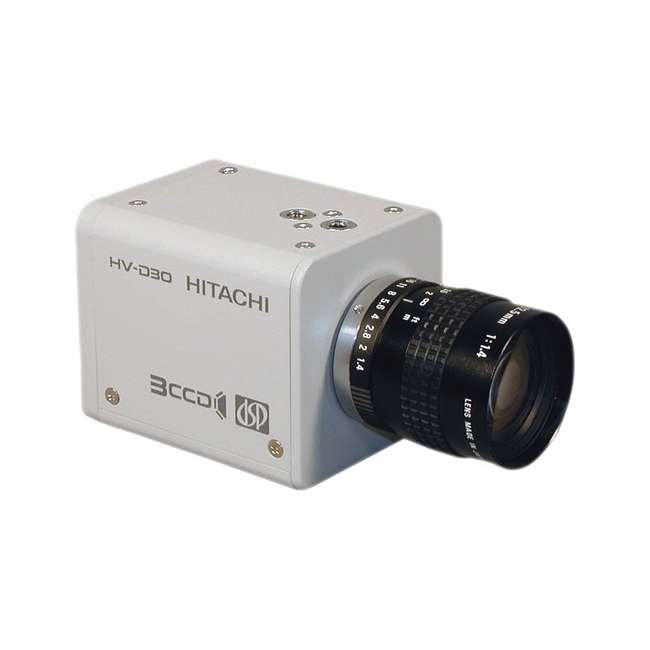 Do you have a question about the Hitachi HV-D30-S4 3-CCD Color Camera?